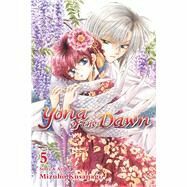 An earthquake suddenly hits the Village of the Blue Dragon, and Yona and her friends are trapped! Will Yona manage to escape safely? And will the Blue Dragon join her on her journey? Meanwhile, Gija senses the presence of the Green Dragon!